The term Beacon is anchored in the shipping industry. The English name for beacon is a signalling device that guides ships with the help of radio beacons and navigation when visibility is poor. This association, however, is transferred in part to the iBeacon technology. The beacon in the shipping offers a fixed point for orientation, can benefit from the so-called iBeacon technology, both recipients of the signal as well as the signalling device even from this system. The iBeacon system provides a modern standard for navigation and is based on the so-called Bluetooth low energy (BLE) technology. With this system it is possible with your smartphone to receive signals within a radius of a few meters. A basic requirement in order to obtain information from a supplier is a powered-on Bluetooth. The provider, in turn, requires a IBeacon stations on which the desired data is stored. As soon as customers and prospective customers are in the vicinity of a business premises or product, you will then receive notifications on your mobile device. 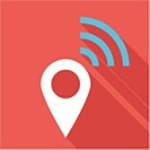 This modern style of geolocation is suitable for a wide range of areas. Whether in the retail sector, in sport, in the cultural sector or in the health care sector - the iBeacon technology can be used almost anywhere. For example, there is the possibility to operate iBeacon campaigns with the help of customers and to draw attention to discounts. Or use a technology to send background information about events on the mobile devices of visitors. Whether promotion, infotainment or location-based services - the added value of this technology for companies and customers is enormous and profitable for both sides in different ways. You want to learn more about this modern technology for your business and you would like to install it? Then please contact us. We advise you to all matters relating to the topic iBeacon and show you how you can best use this system.